mo' food - Merrow Sewing Machine Co.
Merrow is perhaps the most interesting sewing machine company on the planet. 1. to help people understand and produce a great stitch. Sewcat - the sewing catalog superstore! what is a Merrowed border? Thank you to UGUR MAKINA ! 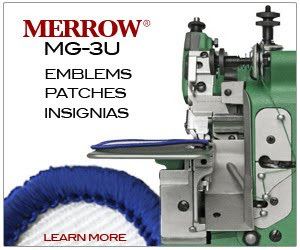 12 Merrow Sewing Machine Co. Training Dates in 2017! Copyright 2017 © Merrow Sewing Machine Co.